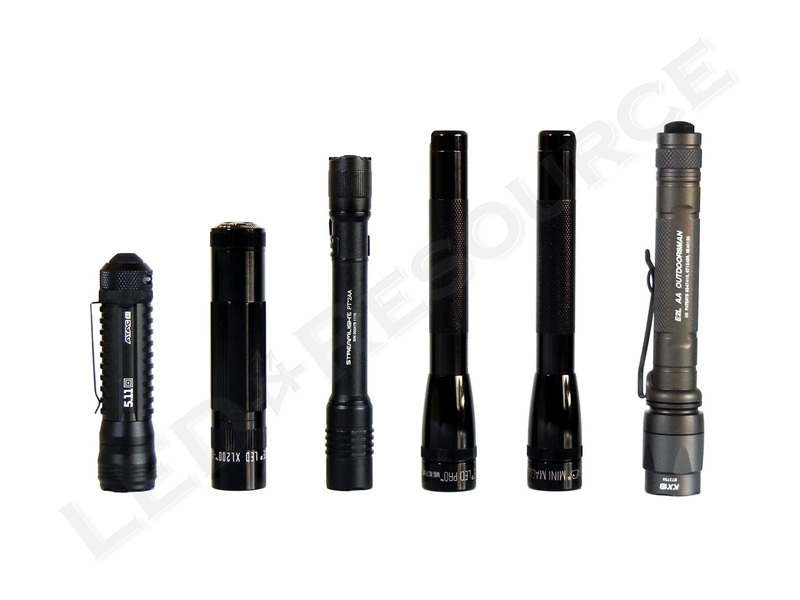 Raising the bar for LED flashlights once again, the new Mini Maglite Pro and Pro+ feature simple user interfaces yet deliver remarkable performance. 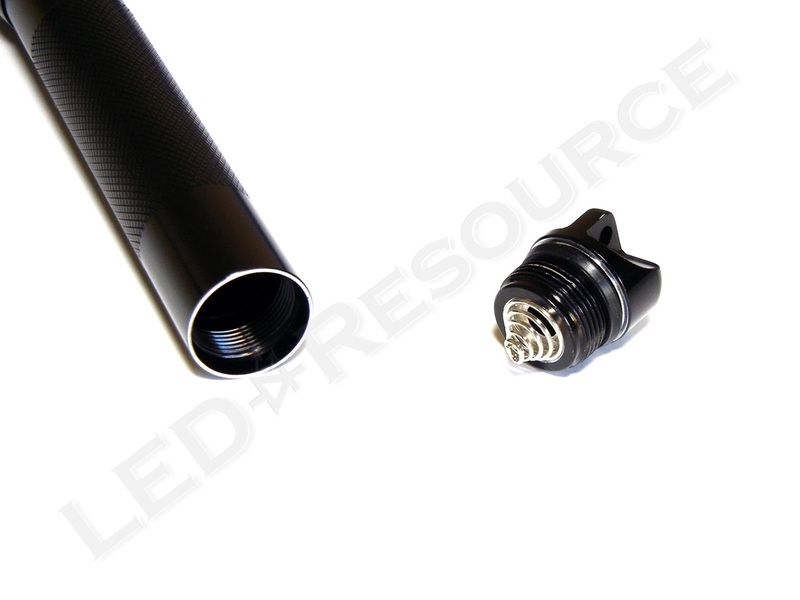 It’s back to the basics with the Mini Maglite Pro’s single output mode for an impressive 226 lumens, but an additional, motion-controlled, low mode can be found in the Pro+ model. 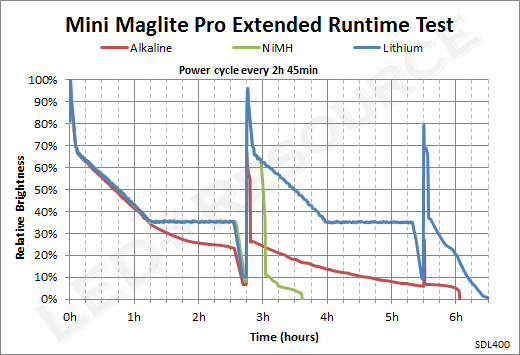 With an expected retail price of under $35 for the Mini Maglite Pro+, there’s no wonder there’s been much anticipation for these lights, so read on for more details! 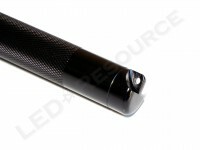 MSRP for the Mini Maglite Pro is $29.99, with the Pro+ priced slightly higher around $32.99. 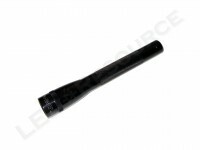 Black is only available at the moment, but both models will be available in black, grey, blue, red, silver, or UCP camo. 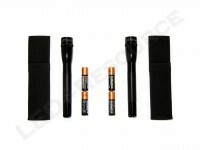 Included in the blister packaging are: Mini Maglite Pro/Pro+ LED Flashlight, 2 x AA Duracell alkaline batteries, and holster. 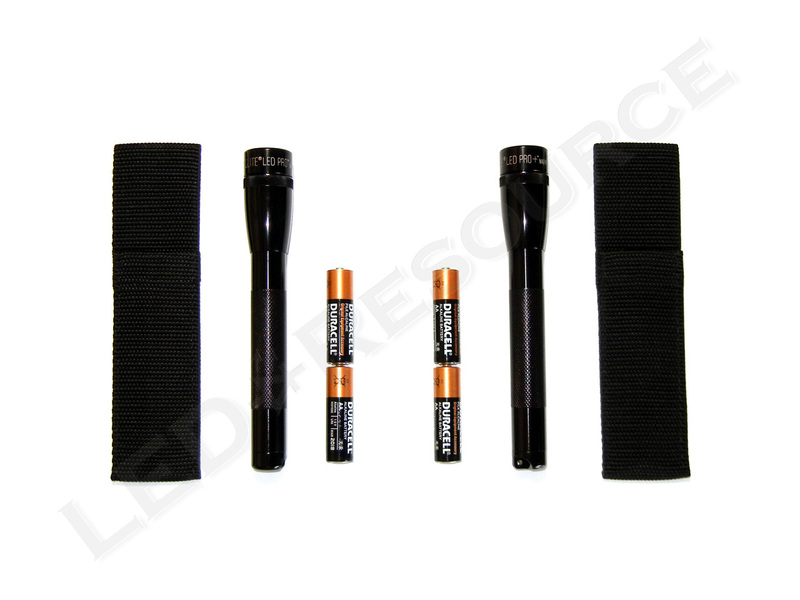 Like the original Mini Maglite LED, both the Pro and Pro+ operate on two AA batteries. ANSI FL1 specifications for the lights are for alkaline batteries, but NiMH rechargeable and lithium primaries can also be used. 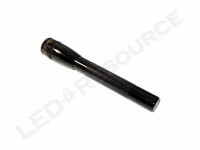 A glass window may be installed using Mag Instrument part #108-617. 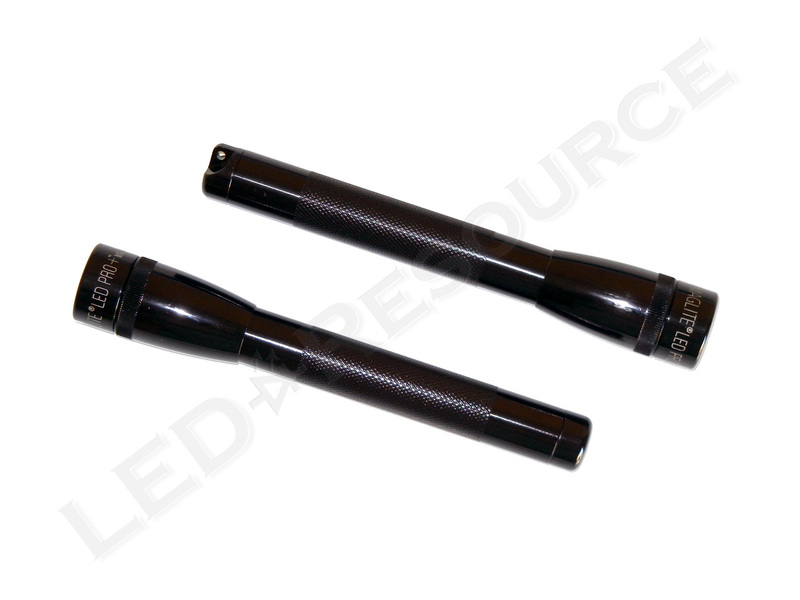 The entire light is type-II anodized aluminum inside and out, which prevents corrosion and also electrically insulates the light. Knurling along the body of the lights ensures a solid grip but do not prevent the light from rolling when set on its side. Since these are twist-operated lights, there’s only a lanyard hole on the tail cap. Multi-mode operation differentiates the Mini Maglite Pro+, which uses an accelerometer for selecting the power-saving low mode, from the single output Mini Maglite Pro. 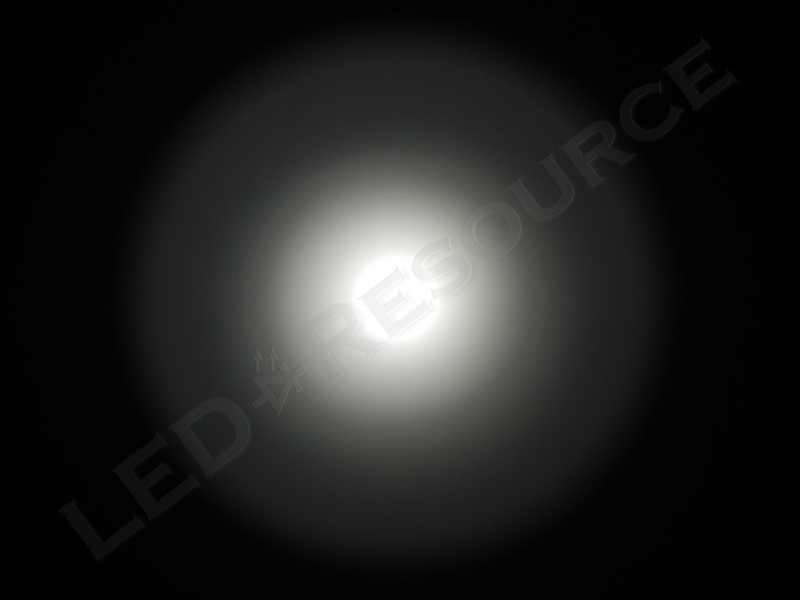 100% brightness at 245 lumens. 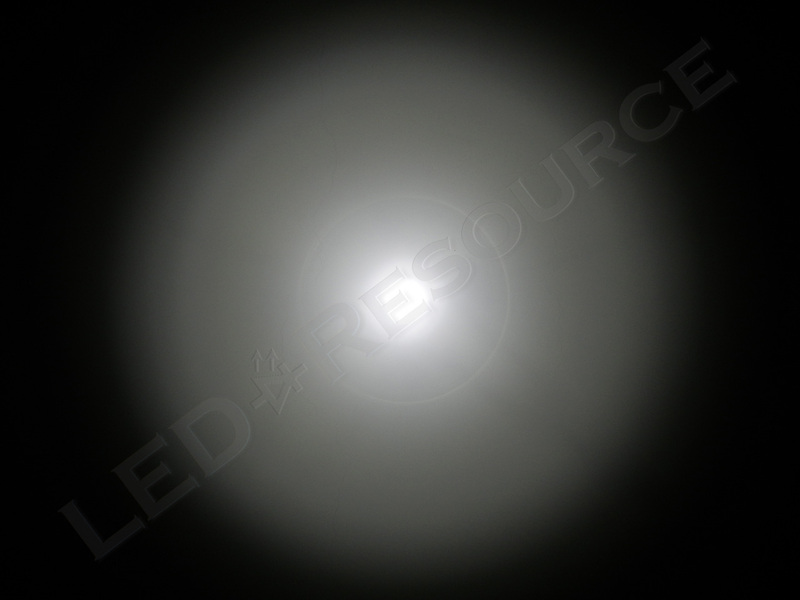 Simply point the light straight down before turning it on for 25% brightness, or 61 lumens. 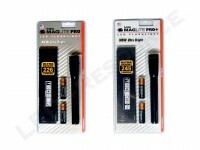 Using the same Cree XP-G LED as the XL200 and ML125, the Mini Maglite Pro and Pro+ are rated for 226 and 245 lumens, respectively. 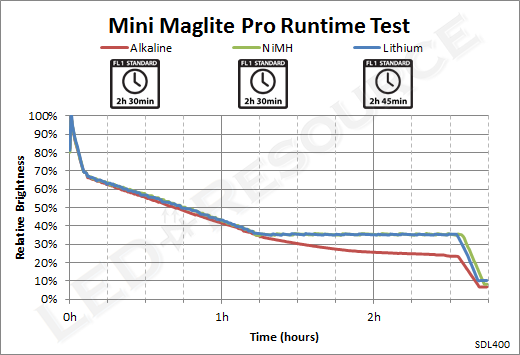 Not only is this an incredible amount of output compared to the current 77-lumen Mini Maglite LED, but the Pro and Pro+ holds ground even when compared to tactical CR123 or rechargeable lights. At the point when the light turns on, the beam pattern tends toward that of a floody work light, which is ideal for work in a Pro-fessional environment (pardon the pun) where light is often needed at close range. With another quarter turn of the head, the beam reaches optimal spot focus. Since the LED module is disconnected when the head is fully tightened, we’re pleased to report that there’s no parasitic standby drain to be found on either light. 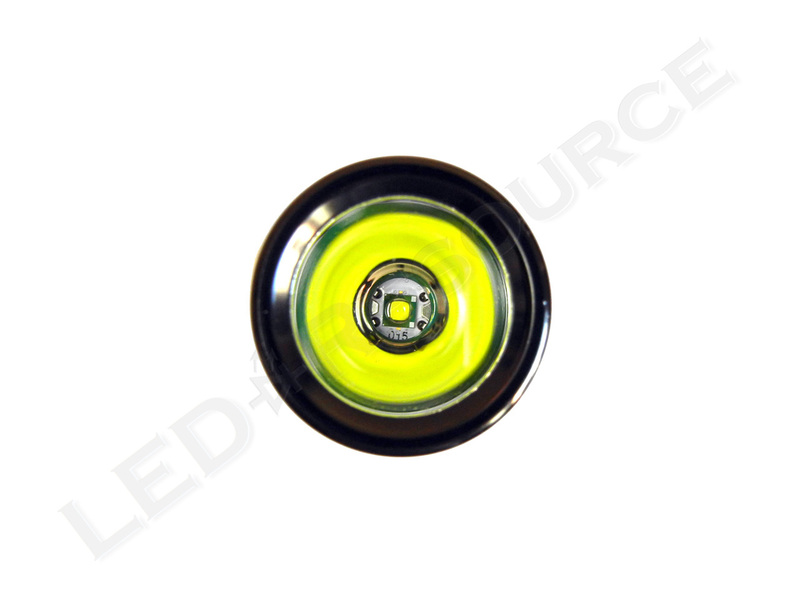 As efficient as LEDs are, heat is still produced and has to be dissipated, so step-down regulation is used to prolong battery life and reduce heat. This behavior does not give accurate comparisons for one runtime cycle, so we conducted an extended runtime test where we power cycled the lights to reset the timer. 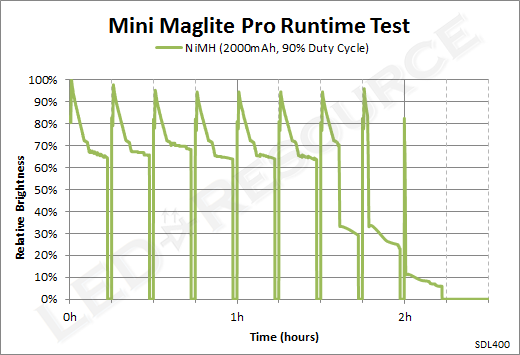 If the lights are operated with a 90% duty cycle (13.5 minutes on, 1.5 minutes off), maximum output is maintained for a shorter amount of time and the runtime graph resembles that of a flashlight without an automatic energy-saving step down. 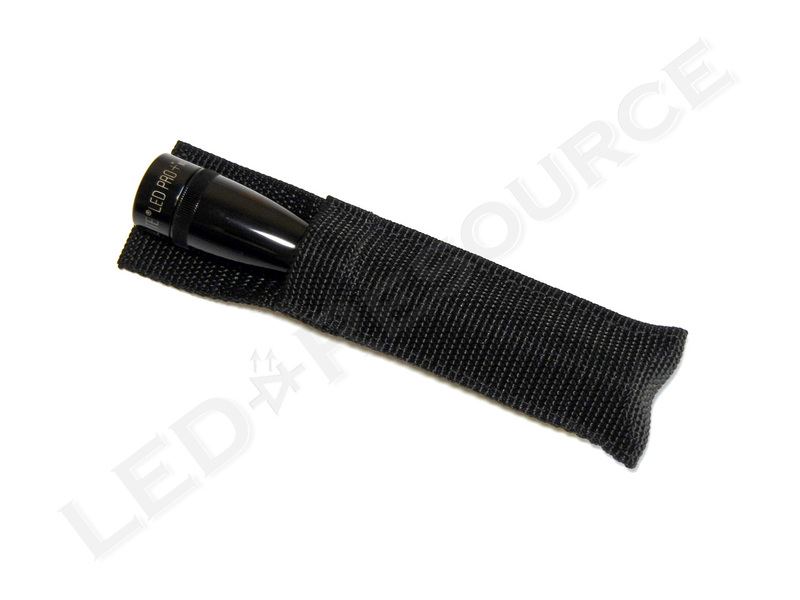 Maglite includes a basic open-top holster with blister pack versions of the Mini Maglite, and the Pro/Pro+ are no exception. An optional closed-top, open-bottom holster is available as an OEM accessory (useful if you plan to attach a lanyard to the light, since it may not fit in the included holster), and most Mini Maglite accessories such as anti-roll rings and glass windows are compatible. 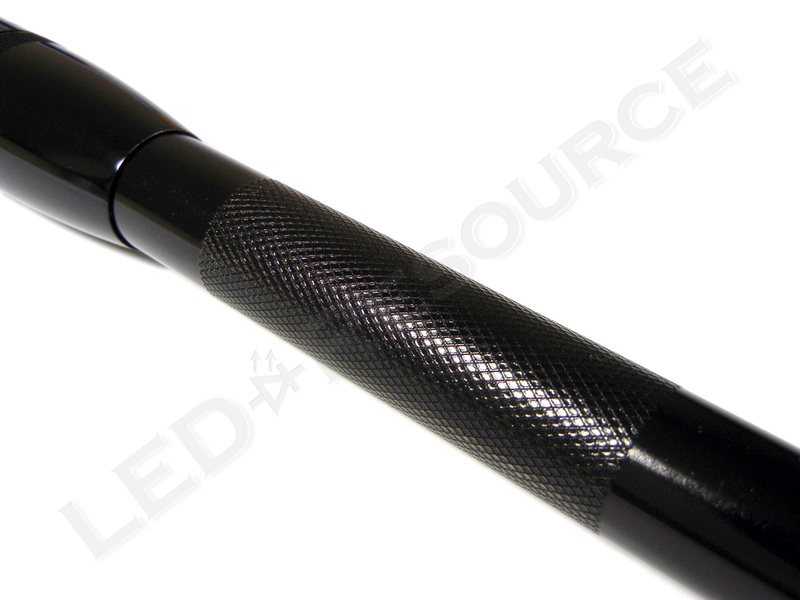 Maglite has been continuously updating their product line over the past couple years, not only bringing performance and functionality to new levels, but also value. It’s no exception with the Mini Maglite Pro, which offers an unprecedented 200+ lumens for under $30. 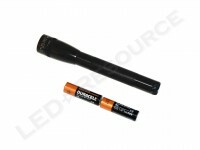 Priced only slightly higher than the Pro, the Mini Maglite Pro+ includes an accelerometer for intuitive mode-switching. One thing that we would really like to see is an OEM tail cap switch upgrade, since the twist operation does require re-focusing the light each time it’s turned on. 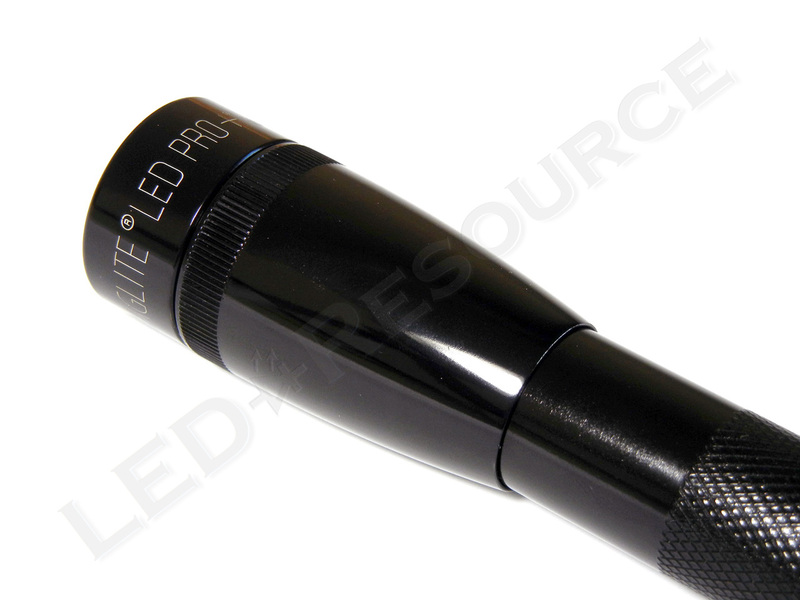 To put things into perspective, the low mode of the Mini Maglite Pro+ is about the same brightness as the high mode of the Mini Maglite LED. Even though these lights have impressive peak performance, they are also designed to be economical for everyday use. Unregulated means that the light runs directly off of battery power, so no adjustments are made to control output or heat. This typically results in unstable output or heat. 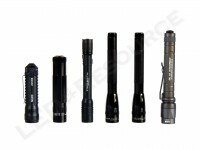 Thanks for this comprehensive flashlight review, now I have a good idea which Maglite to choose. 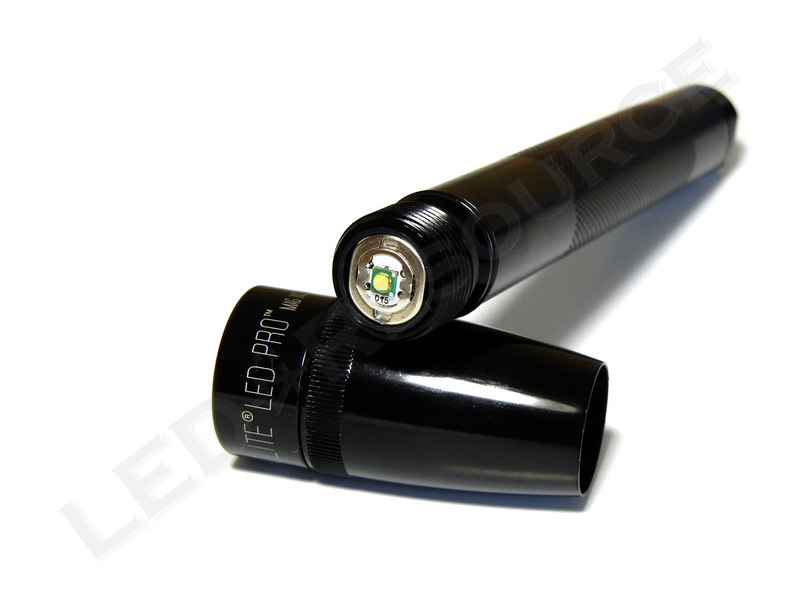 After reading your review on this light I decided to buy one because I wanted a wide beam light for walking the dog off leash in my very dark country environment. The light is perfect, maybe too perfect as I use it for everything outside. Although battery life seems very good I have decided to try rechargeable batteries and just ordered a panasonic charger and eneloop battery combo. 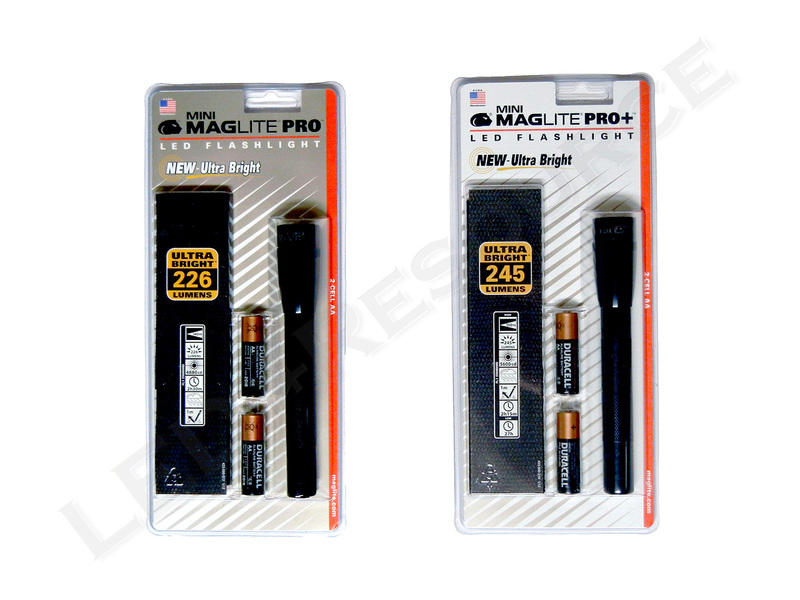 I know that you use these batteries and wondered if there were any destructive effects, long term on the light, since Mag recommends alkaline. I am finding conflicting opinions everywhere online on this topic. Mine is the 272 lumen version that came with a Solitaire, also a great light. Thanks in advance for your valued opinion. Robin, what do you think of J5 Tactical V1-PRO? I have had 2 of these and although they have impressive performance both have failed after a couple of years of intermittent use. Not impressed. Thanks for the run down very helpful, now I know why the price’s are different.